Deutsche Bank officially opened a new subsidiary in Ukraine. 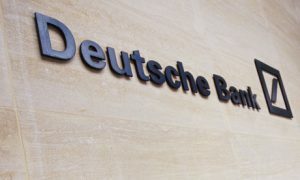 By opening Joint Stock Company (OJSC) Deutsche Bank DBU, based in Kiev, the German bank is planning to strengthen its position in Central and Eastern Europe. The Deutsche Bank’s target clients in Ukraine will include local branches of multinational companies, German and European SME’s, as well as Central and Eastern European corporate clients. The Global Transaction Banking will be the main business of the bank and will comprise of cash management, trade finance and forex management. In the coming years, Deutsche Bank also plans to launch investment banking activities in Ukraine. The Deutsche Bank DBU subsidiary will be directed by Konstantin Seryogin (39), who was already head of Deutsche Bank’s Ukrainian representative office. The new subsidiary is being launched with 20 staff members and equity capital of roughly EUR 22 million (UAH 240 million (hrynvia)). By the end of the year 2009, 30 employees should be working in the Ukraine , expanding to approximately 50 by 2012. In addition, Deutsche Bank staff delivers investment banking and transaction services to Ukrainian clients from the bank’s Frankfurt, London and New York offices.